Age is just a number! You can start a hobby or improve your skills at any time. Come to Freedom Music Studios and we can help you to play guitar no matter what age or ability. Our lessons can be adapted to suit any style or genre you desire to learn including electric guitar, acoustic guitar, lead guitar, rhythm guitar or classical guitar. If you want to follow and examine under the AMEB system, we can happily accommodate this. At Freedom Music Studios, we structure each lesson according to your needs. Our guitar lessons are relaxed and friendly. We encourage students to discipline themselves, work hard and then enjoy the rewards that follow! Unlock the mystery behind the fretboard; learning where the notes are and how to build a wide range of chords. Strengthen their hands to easily get them around any chord. Develop effective technique in order to play clearly and for long periods of time. Learn what to play and where to play it. Work towards and achieve the level of playing they are striving for. Learn both rhythm and solo playing depending on their goals. Perform in public at one of our many performance events improving confidence and learning to deal with nerves. Write their ideas onto chord charts to learn how to record and remember their music. 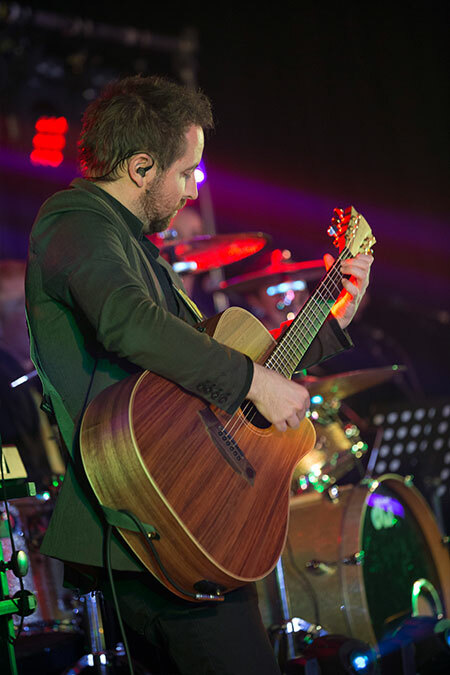 All of our guitar teachers are tertiary qualified, have trained specifically in guitar teaching and worked extensively in the entertainment industry. Between them, they have experience across all music genres and have a wide range of contacts that can assist you with your needs. Our guitar teachers maintain their practice routines daily, to be the best possible role models for you, their students. If regular private lessons aren’t an option for you right now, why not try one of our guitar workshops?